It has been a good week of nerd rage. From the SDCC Preregistration drama on Saturday to the reinventing of Dr. Doom for the Fantastic Four movie. The SDCC drama involved a conspiracy that the good folks at SDCC wanted to keep SoCal residents from purchasing passes in an effort to fill hotel space. Given the speed in which hotels fill up for SDCC I am not sure I follow the logic in that one. The rage surrounding Doom is justified, but considering Hollywood's track record with comic book characters we should have seen it coming. Still, one of the most feared super villains of all time turned into a programmer/blogger is pretty egregious. At least we got some great books to distract us this week. 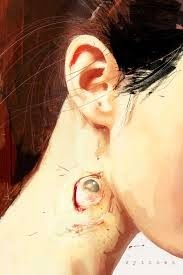 Wytches #2 - I'm not sure why, but the more comics I read the more drawn I am to the horror genre. The comic book medium is extremely effective and building up the suspense that has you on the edge of your seat as you nervously turn the page. Scott Snyder's take on what a witch is paired with Jock's wild artistic style work incredibly well to really create a creepy book. The scenes where Sailor thinks she sees a witch through the pool window will haunt my dreams tonight. Snyder effectively paces the story and creates high levels of tension that make waiting for the next issue very difficult. I don't want to wait until December and am willing to pledge someone to make issue 3 hit the shelf early. The Walking Dead #134 - Things pick up a bit for me in the new arc with this issue. Still not sold on the new group or the idea of the talking zombies, but I have enjoyed the older Carl. My affinity for Carl might be the reason why this issue got things going again. 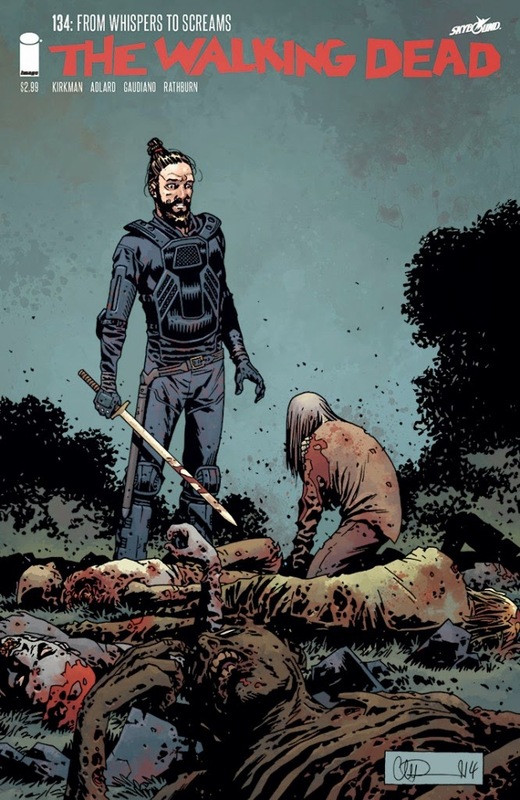 I enjoy the risks that Robert Kirkman takes with his characters and he pulled a doozy this week. What went down with Carl and Sophia will hopefully have a lasting development. 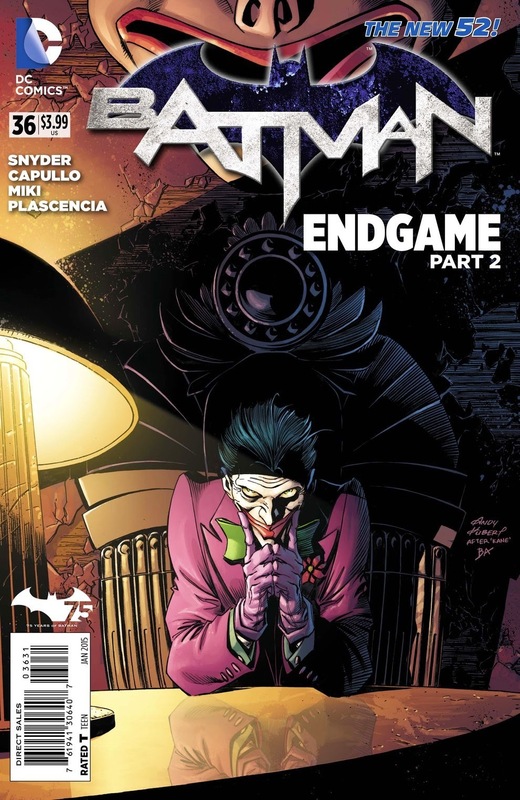 Batman #36 - Scott Snyder continues to deliver a solid book. The Joker is back and he has used his Joker toxin to corrupt the Justice League. As I mentioned with issue #35, Batman's level of paranoia is highly entertaining. This issue featured kryponite gum and with a quick "p'too! ", Batman delivers some pain to Superman by spitting in his eye. In all seriousness, it once again like Batman is going to be in over his head with Joker's latest scheme, but it should be fun to watch him wiggle his way out of it. 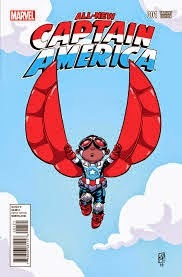 Captain America #1 - Sam Wilson, the Falcon, made his impressive debut wielding the shield as the new Captain America. While this may be a gimmick, others have filled the shoes of Steve Rogers and it seems fitting for one of his best friends to step up in the time of need. We get to watch his first raid on a Hydra facility and it felt like a throwback to the simple stop the super villain scheme. No inter-dimensional travel or anything cosmic, just good beat 'em up action. This is a welcome return and the type of Captain America that I enjoy the most. I am officially on the bandwagon of Sam Wilson as the new Cap. There is something cool about seeing Cap fly with his bird buddy.